+ seven = 9 Required Please enter the correct value. In cryptocurrency trading news today, the big story in the digital currency world was the slight pullback in Bitcoin prices. According to CoinDesk, Fidelity is partnering with Coinbase to allow users to track Bitcoin and other cryptocurrency investments in their portfolio. This is the latest step by mainstream companies to try and enter the emerging digital currency market. Bitcoin prices pulled back Wednesday morning as broader markets remained on guard regarding the ongoing tensions in the Korean Peninsula. Bitcoin gave up a little bit of its gains as more money went into other alternative safe havens like gold and silver. According to an interview with Business Insider UK, Harvard academic and Bitcoin investor Dennis Porto forecast that Bitcoin had upside of $100,000 by 2021. Bitcoin Cash continued to face volatility a week after the hard fork created the new currency. Prices have been on a roller coaster since falling from $756 to $200 last week. Ethereum prices pushed higher as the cryptocurrency capitalized on the downturn in Bitcoin. Ethereum pushed to a 30-day high of $314 and brought its market capitalization within range of $28 billion. The price has gained more than $100 over the first nine days of August. Ripple prices followed Bitcoin lower on Wednesday, but there wasn't any major news for this particular cryptocurrency. Litecoin prices climbed today as the Bitcoin community supported SegWit. The uptick came despite news that Bitcoin had activated the very code upgrade that had helped fuel Litecoin's remarkable run. What you think of the new cryptocurrency plexcoin.tech? Can you please caption all the stocks reccommeded by Shah, loosers and winners both, since April till to date? Bitcoin reached a new all-time high. 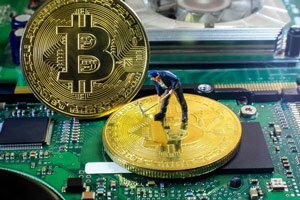 It's the best moment to start cloud mining with real company Genesis Mining. Use promo code GzNuFE for discount on each contract.